﻿ Best Price on Hotel El Club in Granada + Reviews! This 19th-century colonial building is in Granada, just 492 feet from La Merced Church and 1.1 mi from the shores of Lake Nicaragua. It offers a 24-hour reception and a restaurant. 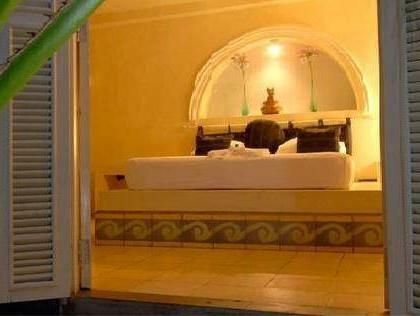 All air-conditioned rooms at Hotel El Club feature cable TV and free Wi-Fi. Each one comes with a private bathroom. The hotel’s restaurant serves Nicaraguan food. There is also a bar, and you can walk to a range of bars and restaurants. The Mombacho Volcano is 3.1 mi from Hotel El Club. The beautiful whitewashed towns of Nicaragua are 9.3 mi away. You can drive to Managua Airport in around 40 minutes.